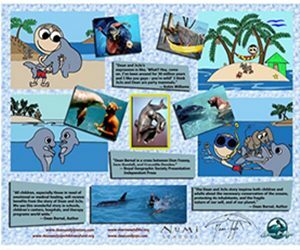 The DEAN & JOJO STORY is a powerful eco-adventure about the unique bond between myself (Dean Bernal) and a wild dolphin named JoJo. Our life is a communion of two worlds, an inward journey of self-transformation that inspires all ages around the globe and changes lives to protect nature. This iconic story contributes to environment, trust, compassion, understanding, and healing. Please enjoy the film trailer and video gallery links at DeanAndJoJoStory.com. My life story is about the longest lived human/dolphin relationship in the world. For school teachers and people working with children and families, please see the Dean and JoJo children and family programs at the Dean and JoJo program link. Below is a summary of “good use” practice for the Dean and JoJo story. The Dean and JoJo story naturally engages children and families. Dean and JoJo story has its own “heart beat” for good cause and purpose throughout the history of Dean and JoJo. Audiences continue to have trust and familiarity with Dean and JoJo. Individuals are inspired to peruse “good cause” and to make a difference. They further establish “trusted good” in the Dean and JoJo story with growth and support in interaction, social media, education, environment programs, working with teachers, schools, foster programs and therapy programs. Young people are stressed by the conditions of our planet and many feel powerless to effect change. Yet as both children and adults observe Dean and JoJo’s plight and familiarize themselves with this powerful story of love between man and mammal in the Dean and JoJo Story, evolutionary emotions are evoked. Using the Dean and JoJo Program people of all ages develop greater compassion that empowers them to effect positive change. Observers often comment on feeling a bond with Dean and JoJo that inspires them to do several things at once. It is this concurrent inspiration of environmental and social activism and the subsequent social repercussions that is at the heart of this unique story. The Dean and JoJo Dean Programs have multiple achievable goals embedded in the curriculum. We are encouraged to redirect behaviors toward good causes such as protecting the environment, keeping the oceans safe for JoJo and animals like him, and developing compassion for all life and ecosystems. Children also learn to become effective communicators through using Dean’s peaceful examples and children and youth are asked to take active roles in encouraging others to engage in environmental protection and peaceful conflict resolution activities. Pre School: PURPOSE: TO IDENTIFY WITH THE DEAN & JOJO CHILDREN’S STORY at preschool and primary school. 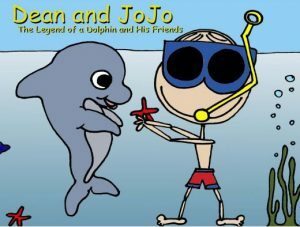 Ages 3 to 6: DEAN JR. AND JOJO JR. Children’s book series. Goal: Children’s books, internet web site and DVD formats. Elementary and Adults: PURPOSE: TO ESTABLISH BUILDING TRUST, PURPOSE AND SAFETY IN THE DEAN & JOJO SOTRY AT ELEMENTARY AGE AND ABOVE. Youth to Adult: Dean is 17 years of age in digital created media. All ages and demographics: The Dean and JoJo documentary film, presently used in all areas of education, therapy… and yes, entertainment. In real life, Dean is presently available for publicity and presentations. “What’s the latest on JoJo?” you ask. JoJo is well and spending time with his girlfriend and his two sons, MoJo and JoJo, Jr. We are all doing very well. 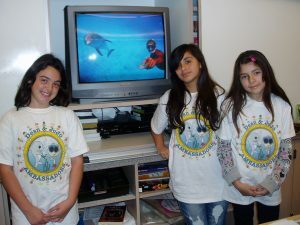 Click HERE to view our Dean & JoJo Anti-Bullying school programs.